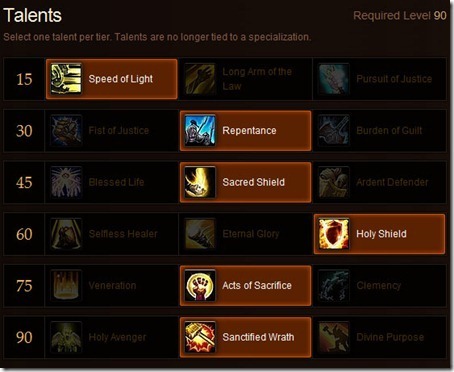 Paladin Healing Talents for MoP – Your Picks? Here’s part 2 featuring the favourite class that everyone loves to hate on: Paladins! Level 15: Speed of Light. 1 minute cooldown but at least as Holy they have a personal defensive ability. Level 30: CC abilities. Repentance, but otherwise there’s nothing that directly affects healing here. Level 45: Appears to be the defensive paladin section. Nothing healing related, but would personally select Sacred Shield. Never know when you might get spiked. Plus it lets you eat a fire once in a while. Level 60: Leaning heavily toward Holy Shield. Another ability that stops incoming damage relative to your Holy Power? Cool! Level 75: Acts of Sacrifice. But there is nothing that helps healing here. Clemency does come in handy if you need two Hand of Sacrifices back to back. I guess it could be thought of as another single target CD. Level 90: I guess it depends how powerful Holy Shock will be at this stage. I can already see Paladins chain casting Holy Shock over and over again on different players after a large AoE hit. Holy Avenger does look attractive for 10 seconds of maximum Holy Power. Depending on how you look at it, there are possibly 4 abilities you can grab which will help you do your job as healing. The rest of them are pure utility such as the CC. The talents do not appear to be as diverse as the priest ones in terms of healing selections. But then again, paladins fill three roles. Priests have just two roles as they are unable to legitimately tank. Overall not a bad list. I feel as though additional talents could be brought in or modified here. Paladins receive a new skill called Blinding Light. It’s essentially an AoE disorient. Now that’s going to be a fun skill in PvP. 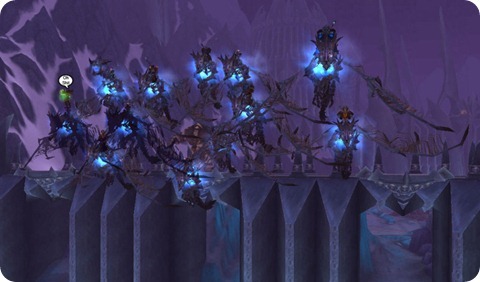 Can’t think of too many raiding applications for it yet unless there’s additional crowd controllable mobs. I’m not exactly a regular Paladin healer so feel free to share your insights on your own selections and why you would differ on your picks. Shaman and Druids coming up next! Just wanted to post a quick reminder of the dispel changes. Every healing class has the capability to remove harmful magic effects from friendly targets. You may have to talent into it somewhere, but it is possible. In encounters going forward, any highly important buffs that need to be removed will come in the form of magic. Other negative debuffs will annoy the raid or make life a little more difficult, but they will not get to the point where the encounter becomes literally impossible to do. For example, if Lich King were to become a Cataclysm encounter, Necrotic Plague would be a magical ability so that any healing class could remove it. Remove Corruption – Removes a curse and a poison (Removing magic requires the Nature’s Cure talent). Cleanse – Removes a disease and a poison (Removing magic requires the Sacred Cleansing talent). Note: Protection and retribution paladins cannot cleanse remove magic. Dispel Magic – Removes 2 harmful spells from allies or 2 buff spells from enemies. Cure Disease – Removes a disease. Note: Shadow priests cannot remove diseases in Shadowform but can still dispel. No change to Body and Soul. It will still remove a poison if you Cure Disease yourself only (Won’t work on others). Purge – Removes 2 buff spells from enemies. Note: Disease and poison removal abilities have been removed. Yes, that includes the totems. Mages, warriors, hunters and warlocks (Fel Hunter) have no changes to their dispel mechanics. Actually, come to think of it, Necrotic Plague is still going to be a disease in post 4.0.1. That means the only way to remove it is by having a priest or a holy paladin in the raid. Hopefully, it’ll be hot fixed so that it becomes a magic effect or something. Unless they don’t expect anyone to raid past 4.0.1. Right? Please give a warm World of Matticus welcome to guest-blogger Ophelie, and remember to visit Bossy Pally for more great Paladin posts! I came home from a weekend in the wilderness to discover my class turned upside down. That’s what happens when you spend two days and a night in the middle of nowhere without internet. You come back and you’re lost. As I was scrambling to piece together the bits of news, Matt suggested I guest post about it. Guest post about the paladin news, of course, not my scrambling. 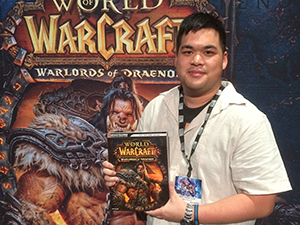 So I did what I always do when having to talk about Cataclysm news. I grabbed a pen, some paper and called up Google. And if that wasn’t enough, a new beta build was released between then and now, just for confusion purposes. So…here’s what I found out, and there’s what I think of it all. We also introduced several new heals for Holy Paladins including Healing Hands (an AoE heal-over-time that is applied to all players standing near the paladin), Light of Dawn (a cone heal with a 30-yard range), as well as a new heal called Divine Light, which is similar to a priest’s Greater Heal, and the new instant heal mentioned above, Word of Glory. As for the release of new talents builds, for those of us who aren’t lucky enough to witness them first hand, here’s a link to the MMO Champion version. I’m going to stick with the holy side of the things, because I’m primarily a healer and this, after all, is primarily a healing blog. I’m also going to stick with the big picture and what stood out to me. I figure anyone who really cares about the nitty gritty details has already read (if not tested) them anyway. Back to the dev chat news, in other words, we get a new bar (like a health or mana bar, and yes it’s currently supposed to be an actual bar and not cute circles on our screen) to record stacked up combo-like points as we cast Holy Shock, as we directly heal our Beacon target (via the Tower of Radiance talent) and possibly as we do other things. We’re then given Word of Glory, a get-out-of-jail free card for when there’s need to fill in one of the gaps caused by Holy Shock cooldowns. When I first heard of a Holy Power bar, I froze for a second, worried that my mana bar was being replaced. But no, they’re actually adding a new bar and not removing old bars. I like that. It gives us something else to keep our eyes on and to make the mental hamster run faster. It’s not too complex, after all, last I heard, Holy Power only stacked up to 3. 3 points is totally something I can keep track of. Forcing us to use Holy Shock regularly, keeping track of Holy Power stacks and deciding when to use a finishing move is a small but welcome addition to the holy paladin thought process. EDIT : In the comments, Esh, who’s been playing in the beta, reported that Holy Power is actually a buff icon and not a bar, at least at lower levels. It’s been assumed that Holy Power would be a bar due to a post by Ghostcrawler, but a buff icon certainly makes more sense. Personal confession time: I love Holy Shock. I’ve always loved Holy Shock. Holy Shock and I go way back. Holy Shock was the whole reason I specced Holy in the first place (hey I was new to the game and didn’t realize there were more efficient ways to deal damage). Though I eventually discovered it wasn’t the wonderful spell I had imagined, it’s still been there for me through all the hard times. Whenever I needed to quickly save someone without abandoning the tanks, it didn’t hesitate. It was my companion during all those ICC fights that had me casting and running (and cursing!) at the same time. It listened to all my problems and never laughed at me… Erm. Moving on. In one sentence, it should come as no surprised that I’m thrilled to see Holy Shock finally getting the game mechanics buff it deserves. Oh, and if adding importance to Holy Shock wasn’t enough, its mana cost is brought down to 8% from 18% and it helps with all the slow casting via the talents Infusion of Light and Speed of Light, somewhat replacing the current Light’s Grace. There’s also a new spell, Holy Mending, that gives Holy Shock a small heal over time. 15% of a Holy Shock over 9 seconds seems a little silly, but, um, you know, at least they’re trying. EDIT: Ryonar left an excellent comment that is unfortunately stuck in pending comment limbo. He pointed out that Holy Mending is already in the game: it’s the tier 8 2p bonus. The MMO Champion Paladin page makes it look like a skill trainable at level 80. It either a bug, or it’s becoming a permanent skill in the expansion. Remember what I said about casting and running at the same time? To me, the new emphasis placed on Holy Shock, and the addition of Word of Glory, another instant heal, looks like an attempt to make movement more manageable. I’m curious to see how much assistance the final mechanics of Healing Hands and Light of Dawn end up providing to the current movement impaired paladin. As of now, both are instant and both seem to allow movement during the spell effect. Healing Hands even increases movement speed by up to 60% when talented into Speed of Light. Being someone who staged a large protest when she couldn’t fit Pursuit of Justice into all her paladin specs, my stomach did summersaults when I discovers the good news. Like druid healers and their tree forms, like shamans with their skirts, like priests with, um, whatever is meaningful to priests (normally I’d make a joke about priests always being dead, but for some reason, it feels like a bad idea to do that here), us paladins have a sense of identity too. In our history, we’ve been blasphemized. We’ve been forced to wear certain pieces of mail gear because it was better itemized than plate. (Min/maxers even went as far as equipping the Meteor Chaser’s Raiment, which is made of toilet paper, of all things). Again and again, we’ve been sent to the back of the room with all the casters. Many of us were even deprived of shields, resigning ourselves to carrying orbs or lamps in our off-hands. The horrors just never end. Seriously. Healing Hands and Light of Dawn introduce some multi-target healing beyond the limitations of Beacon of Light and Glyph of Holy Light. Healing Hands and Holy Mending/Holy Shock also flirt with heals over time, another element lacking in paladin healing. I can just picture my little paladin puffing up with zealousness as she casts, then unleashing it all in one blow. Oh, and yes, I do agree with Rohan and a number of others in their preference for the term Zeal. The concept of Holy Power is terrific, the name Holy Power, however, makes me think of energy drinks. But you know that when we’ve reduced ourselves to complaining about semantics, we’re finally getting some pretty promising Cataclysm news.